Eastern Pennsylvania during the 1950s: King Coal has been dethroned, the railroads are all but defunct, and the region is in an economic depression. Fathers are forced to commute many miles to work, while at home the kids know no other pastime but to run wild in the woods. 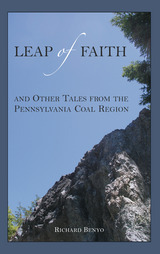 From the same author who intrigued readers with his whimsical stories of childhood in Jim Thorpe Never Slept Here comes an all-new batch of coming-of-age tales in Leap of Faith. In these eight stories, the adults are often offstage, leaving the children to make up the rules as they go. From the story of an unrepentant bully who gets more than he deserves to the tale of a boy who finds serenity in short bursts of flight, Richard Benyo captures a time and a place where small triumphs are enormous, where the strong rule and the swift survive, and where the outside world—beyond the mountains that enclose Mauch Chunk, Pennsylvania—seldom intrudes. With an interdisciplinary combination of philosophy, theology, and family law, The Law of Love explores the impact of secular conceptions of autonomy on sexuality and family. 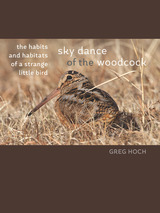 Drawing from the thought of Aristotle, Cicero, Augustine, Aquinas, and the modern theologian Servais Pinckaers, Stephen F. Brett argues that the divorce of freedom from virtue has caused cultural relativism, and that a potent and healthy mix of temperance, chastity, and modesty is the antidote. Styled accessibly and quite cleverly with a broader audience in mind, The Law of Love will appeal to intellectuals of all faiths who are interested in facing the ambiguities and problems of contemporary life in a secularized society. First published 30 years ago and long out of print, Aquinas: God and Action appears here for the first time in paperback. This classic volume by eminent philosopher and theologian David Burrell argues that Aquinas’s is not the god of Greek metaphysics, but a god of both being and activity. Aquinas’s plan in the Summa Theologiae, according to Burrell, is to instruct humans how to find eternal happiness through acts of knowing and loving. Featuring a new foreword by the author, this edition will be welcomed by philosophers and theologians alike. True religious faith cannot be confirmed by any external proofs. Rather, it is founded on a basic act of trust—and the common root of that trust, for Jewish, Christian, and Islamic traditions, is a belief in the divine creation of the universe. 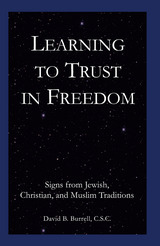 But with Learning to Trust in Freedom, David B. Burrell asks the provocative question: How do we reach that belief, and what is it about the universe that could possibly testify to its divine origins? Even St. Augustine, he points out, could only find faith after a harrowing journey through the lures of desire—and it is that very desire that Burrell seizes on as a tool with which to explore the origin and purpose of the world. Delving deep into the intertwinings of desire and faith, and drawing on St. John of the Cross, Edith Stein, and Charles Taylor, Burrell offers a new understanding of free will, trust, and perception. Drawing on his five decades of leadership experience, William Byron outlines in this volume the theory, practice, and purpose of leadership. Intuition, humility, empathy, simplicity of lifestyle, and sound speaking and writing skills are all essential for effective leadership, and Byron devotes separate, in-depth chapters to each. Aimed at an audience now largely overlooked by leadership literature, Next Generation Leadership will appeal to the business, government, religion, and nonprofit leaders of tomorrow. In Creating a Human World, Trappist monk and scholar Ernest Daniel Carrere explores what it means to be fully human, to live in a shared world, and to resist the easy tendency to flee reality and seek pleasure in material pursuits. To do so he examines the writings of three great modern thinkers—Sigmund Freud, Martin Heidegger, and Søren Kierkegaard—and proposes a new reading of their work in light of his own understanding of New Testament teachings. Carrere elucidates the paradoxical spiritual truth that salvation lies not in an escape from humanity, but in embracing it. An interdisciplinary tour de force, this book will appeal to anyone interested in philosophy, psychology, religion, or cultural anthropology. 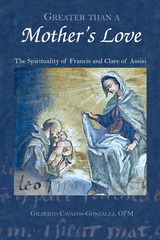 Although there are several studies dedicated to the lives of Francis and Clare of Assisi, Gilberto Cavazos-González’s Greater Than a Mother’s Love is the first to investigate their spirituality in the context of family relationships. He delves into the writings of Francis and Clare and illustrates how both used observations of their various human relationships to understand their experiences with God. Accompanying this study is an exhaustive bibliography and several appendices that enhance this unique treatment of these two beloved and admired religious figures. End-of-life issues and questions are complex and frequently cause confusion and anxiety. 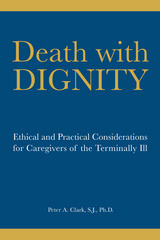 In Death with Dignity,theologian, medical ethicist, and pastoral caregiver Peter A. Clark examines numerous issues that are pertinent to patients, family members, and health care professionals, including physiology, consciousness, the definition of death, the distinction between extraordinary and ordinary means, medical futility, “Do Not Resuscitate” orders, living wills, power of attorney, pain assessment and pain management, palliative and hospice care, the role of spirituality in end-of-life care, and physicians’ communication with terminal patients. Patients, family members, medical students, and health care professionals will find in Death with Dignity thepractical and ethical knowledge they need to capably and confidently cope with end-of-life challenges. In his lifetime, French philosopher Jacques Maritain (1882–1973) achieved a reputation as both a leading Catholic intellectual and as an outspoken critic of antisemitism. Here historian Richard Francis Crane traces the development of Maritain’s opposition toward antisemitism and analyzes the Catholic appreciation of Judaism that animated his stance. Crane probes the writings and teachings of Maritain—from before, during, and after the Holocaust—and illuminates how his ideas altered Christian perceptions of Jews and Judaism during his lifetime and continue to do so today. 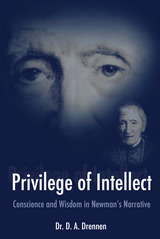 Based on decades of research, A Privilege of Intellect is D. A. Drennen’s portrait of the English cardinal John Henry Newman (1801–90), whose conversion to the Roman Catholic Church in 1845 significantly boosted the presence of the Catholic Church in England and caused many Anglicans to follow his example. Newman—who will be beatified this fall—devoted his life both to the Church and to the university, demonstrating that religious faith and intellectual pursuits could exist in harmony. Drennen’s biography combines theology with psychology and philosophy and will appeal to anyone interested in the history of the Church of England and the Roman Catholic Church. The School of Chartres was a bold intellectual movement of the twelfth century that introduced the World Soul and the Chartrian cosmology to Christendom. In his controversial book, The Sacred Cosmos, theologian Peter Ellard analyzes the most radical aspects of Chartrian thought and traces their relation to classical and late-antique philosophers such as Boethius and Plato. In addition, Ellard investigates the Cathedral of Chartres as an important proof and example of Chartrian theology in this essential volume for anyone interested in the intersection of spirituality and philosophy. In The Metaphysics of Media, award-winning media critic Peter K. Fallon tackles the complicated question of how a succession of dominant forms of media have supported—and even to some extent created—different conceptions of reality. To do so, he starts with the basics: a critical discussion of the very idea of objective reality and the various postmodern responses that have tended to dominate recent philosophical approaches to the subject. From there, he embarks on a survey of the evolution of communication through four major eras: orality; literacy; print; and electricity. Within each era, Fallon argues, the dominant form of media supported particular ways of understanding the world, from the ascendance of reason that followed the development of alphabets to the obliteration of space and time that we associate with electronic communications. Fallon concludes with a hard look at the mass ignorance that prevails today despite (or perhaps because of) the sea of information with which contemporary life is surrounded. A stirring, philosophically rich investigation, The Metaphysics of Media offers not only a clear picture of where our society has been but also a road map to a more engaged, informed, and fully human future. During their ascendency and subsequent occupation of much of Europe, the Nazis plundered the documents and cultural treasures of Jewish organizations as well as other groups and individuals they deemed to be enemies of the Reich. 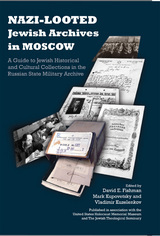 When the Nazis were crushed, many of these looted collections, as well as records of Nazi state agencies that persecuted and murdered Jews, were discovered by the Soviet Army, then transferred to Moscow and held for decades in closed, secret archives. This catalog and guide supplies the first comprehensive, collection-by-collection English-language description of this historical and cultural documentation, which the Nazis meant to be among the only vestiges of the millions of victims they annihilated. Scholars and lay researchers will find this reference a unique and indispensable guide to the invaluable remains of a rich world brutally destroyed. The question of the relationship between mind and body as posed by Descartes, Spinoza, and others remains a fundamental debate for philosophers. In Damasio’s Error and Descartes’ Truth, Andrew Gluck constructs a pluralistic response to the work of neurologist Antonio Damasio. Gluck critiques the neutral monistic assertions found in Descartes’ Error and Looking for Spinoza from a philosophical perspective, advocating an adaptive theory—physical monism in the natural sciences, dualism in the social sciences, and neutral monism in aesthetics. 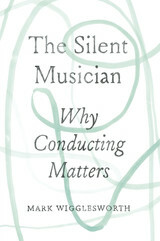 Gluck’s work is a significant and refreshing take on a historical debate. In Religion, Fundamentalism, and Violence, Andrew Gluck brings together distinguished scholars to address a fiercely debated topic: the intersection of religion and violence. 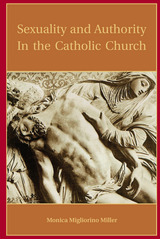 Among the contributions is an anthropological analysis of the violence associated with the Abrahamic monotheistic religions of the Middle East, a compelling essay accounting for the violence in Hindu religious traditions, an informative look at the Israeli-Palestinian tensions of more recent times, and an essay on the Catholic just war theory. Each chapter is followed by a commentary and reply, making this volume indispensable for students and scholars of the history of religions. After an exciting career flying dozens of different aircraft to destinations as near as midwestern cornfields and as far as Middle Eastern deserts, veteran aviator Jack Race regales us with his unique experiences in I’ll Fly Away, an engaging biography written with acclaimed novelist William Hallstead. From his adventures flying for the Allies in World War II to his work as head pilot trainer for Ariana Afghan Airlines, Race has logged more than six decades in the air. I’ll Fly Away tracks his travels around the globe, encompassing his post-war job as crop duster and bush pilot, his thirty-four years as a commercial airline pilot for Pan American World Airways, his consultancy to King Hussein for Royal Jordanian Airlines, and the eight years in which he served as lead pilot for Orbis, an eye hospital on wings that served thirty-one countries. In 1989 Race notably retraced Charles Lindbergh’s 1927 20,000-mile goodwill tour, flying his Spirit of Orbis biplane to all forty-eight of the continental U.S. states. A remarkable and wholly readable biography of an American original, I’ll Fly Away will be essential for the bookshelf of every aviation enthusiast. The eminent political scientist Manfred Halpern (1924–2001) viewed politics as belonging to each of us, as part of the nature of being human. In A Comprehensive Philosophy of Transformation, his magnum opus, Halpern elucidates the interconnected “four faces of our being”: the political, personal, historical, and sacred. 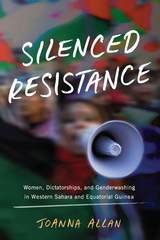 This momentous volume identifies several modes of political activity, warns against the dangers of leaving politics to professional politicians, and urges us to build networks of compassion that include everyone in a just society. Overall, Halpern calls for a transformative politics achieved through enhanced participation and understanding. This thorough volume offers up-to-date information and practical guidelines for board members and executives of nonprofit organizations large and small. Among the topics addressed are the historical roots of the voluntary sector in America, a complete discussion of the key responsibilities of nonprofit boards, suggestions for board organization, appropriate protocol for meetings, legal issues affecting nonprofit groups, and useful tools for self-assessment. This guide will be indispensable to the almost two million nonprofit organizations existing in the United States today. Of the seven sacraments of the Roman Catholic Church, matrimony is the most discussed, debated, disputed, and adjudicated in all of canon law. In this book, Brendan Killeen employs the fundamental question “What brings a marriage into existence?” as the legal and scholarly means to explore the very nature of marriage within the framework of the canon law of the Catholic Church. Killeen conducts his exploration in two phases. First he scrutinizes the canon law’s primary sources—texts dating as far back as the Roman Empire—and gives readers a fresh perspective of the law’s historical progression. He then examines the papers from the Second Vatican Council and offers both an objective evaluation of the law at present and some possible amendments for its future. Noteworthy for its diligent research and in-depth analysis, What Brings a Marriage into Existence? will be useful to both newcomers to the canon law of marriage as well as seasoned scholars. 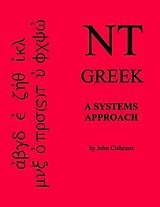 In this incisive study, John F. X. Knasas grounds the ideal of tolerance in Aquinas’s natural law ethics and connects the virtue of civic tolerance to the concept of being. If God is the source of being, argues Knasas, then we are the articulation of being, and it is in this capacity that we recognize our bond with other people and thus acknowledge our duty to be tolerant of one another. An important contribution to practical metaphysics and the philosophical foundations of political theory, Thomism and Tolerance will appeal to philosophy scholars and students at the undergraduate and graduate level. The twentieth anniversary of the beatification of Edith Stein (1891–1942), the accomplished Jewish philosopher who made a spiritual journey from atheism to agnosticism before eventually converting to Catholicism, will be celebrated in 2007. In Edith Stein: Philosopher and Mystic, Josephine Koeppel chronicles the life of this influential saint from her secular youth and entrance into a German monastery to her tragic death at Auschwitz. This accessible work will reward readers of all faiths interested in the life of a remarkable woman who changed the modern conception of sainthood. Though Saint John Cassian lived and wrote centuries ago (c. 360-435), his spiritual writings continue to be important to contemporary church life and personal spirituality. The rich religious traditions of Eastern Christianity influenced the course and development of monasticism in the West. Today, all Christians can, through Saint Cassian's focus on prayer, reach a higher state. Jacqueline Hansen Maggiore presents in this volume the biography of her lifelong friend Carol Piette, known throughout Chile and El Salvador as Sister Carla. Drawing from the memories of those who knew her and excerpts from her letters and diaries, Vessel of Clay chronicles Sister Carla’s extraordinary life, highlighting her dedication to the poor of Latin America but also revealing her struggles with self-doubt and emotional frailty. Vessel of Clay will appeal to both lay and religious readers interested in peace and social justice, spiritual formation and development, women’s issues, liberation theology, and mission service. 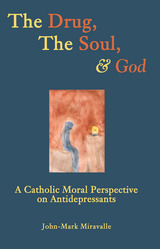 With The Drug, the Soul, and God, John-Mark Miravelle examines the stance of the Catholic Church regarding the prescription and consumption of antidepressants. After a careful investigation of Catholic moral theology and philosophy, Miravelle argues that treating depression with medication alone fails to address the underlying causes of the depression and does not facilitate the cognitive, interpersonal, and environmental changes necessary for a patient’s long-term health. In addition, he suggests that such medication may deprive sufferers of providential opportunities for personal and communal conversion and sanctification. This controversial volume will engage theologians and medical professionals alike. In early 1947 residents of the west side of Carbondale, Pennsylvania began noticing a peculiar steam escaping from the ground. An investigation into this phenomenon revealed that Carbondale was slowly but steadily being destroyed by a burning inferno deep below its surface—a fire raging through the deserted anthracite coal mine shafts that twisted and turned beneath that part of the city. After several years of attempting to contain the fire by flushing, municipal leaders decided that the only sure way of eliminating the threat to the community was by digging it out. To eradicate the burning menace, hundreds of homes and buildings were purchased and destroyed, and what was once a vibrant neighborhood became an abandoned wasteland. 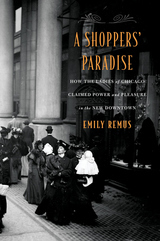 Historian Kathleen Purcell Munley narrates here the story of this great fire, identifying its source, tracing its history, and, through personal interviews with former Carbondale residents, reveals its physical and psychological toll. The mine fire destroyed the West Side as it was, but this volume will keep its memory alive and preserve an important chapter in the history of Carbondale and Pennsylvania. Kazakhstan has faced severe economic challenges since it gained independence from the former Soviet Union in 1991. Kazakhstan’s New Economy explores how the country might shed the outdated business practices that continue to hamper its growth. Jay Nathan first provides a historical overview of the economy and then delves deeper into the strengths and weaknesses of nine major industries, including oil and gas, banking, telecommunications, and transportation. Nathan’s careful analysis and recommendations will provide valuable insight for anyone interested in Central Asia’s economic growth. On the surface, Lucie Christine—the pseudonym given to a nineteenth-century Frenchwoman named Mathilde Boutle—was a very ordinary upper-middle-class woman, fulfilling her daily responsibilities to her husband and children. But underneath, Lucie Christine was an extraordinary human being. 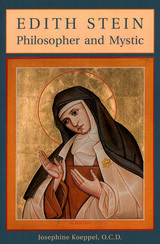 In A Mysticism of Kindness, Astrid M. O’Brien tells the life story of this remarkable woman, revealing how her experiences as a mystic allowed her to persevere as a wife and mother in the midst of constant verbal and physical abuse from her alcoholic husband. Her story will inspire all those who struggle to find a way to live a strong spiritual life in an often difficult and troubling world. More than fifty books debunking the religious claims of The Da Vinci Code have been published. Thisis the first book devoted to the fundamentally more interesting question: if those claims are so unfounded and erroneous, why have they resonated so strongly with millions of intelligent readers and filmgoers? From the sexual abuse scandal that shook the foundations of the Catholic Church to the 9/11 terrorist attacks that cast a cloud over a troubled nation, Eric Plumer’s The Catholic Church and American Culture: Why the Claims of the DaVinci Code Struck a Chord investigates the contemporary events, ideas, and movements that fostered Dan Brown’s unprecedented dominance of best-seller lists and dinner-table conversation. This ambitious book considers the feminist movement, radical individualism, twelve-step programs, the authority of science and psychology, and other cultural developments that paved the way for The Da Vinci Code craze. It also reflects on the recent publication of the Gnostic Gospels, including the Gospel of Mary Magdalene. Plumer’s engaging book is sure to stimulate further discussion about the role of religion in contemporary life. Bruges-la-Morte is the story of one man’s obsession with his dead wife and his soul’s struggle between an alluring young dancer—his late wife’s double—and the beautiful, melancholy city of Bruges, whose moody atmosphere mirrors his mourning. 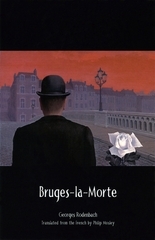 This hallmark of Belgian symbolist literature, first translated into English by Philip Mosley to great acclaim twenty years ago, is now back in print for the next generation of English readers to discover. With penetrating psychological force and richly metaphorical language, Bruges-la-Morte draws a haunting picture of love, grief, and murder in what has become a “dead city,” severely Catholic and once proud. The source of the famous opera Die tote Stadt and endless inspiration for Belgian and French artists, this novella will enthrall both the imaginations and heartstrings of an Anglophile audience. Christianity and Islam focuses on the infra-structural or basic issues in the relationship between Christianity and Islam. One of the foremost scholars of the Talmud in the last century, Saul Lieberman (1898–1983) is also an intriguing and controversial figure. Highly influential in Orthodox society, he left Israel in 1940 to accept an appointment at the Jewish Theological Seminary, a Conservative institution. During his forty years at the Seminary, Lieberman served in the Rabbinical Assembly as one of the most important arbiters of Jewish law, though his decisions were often too progressive to be recognized by the Orthodox. Marc B. Shapiro here considers Lieberman’s experiences to examine the conflict between Jewish Orthodoxy and Conservatism in the mid-1900s. This invaluable scholarly resource also includes a Hebrew appendix and previously unpublished letters from Lieberman. In this sophisticated debut collection, Ronald F. Smits deftly weaves the comic with the tragic as he vividly recreates days past in rural Pennsylvania. With a boyish charm, the eighty poems in Push lyrically recall baseball games, campouts under the stars, and dusty treks along lonely back roads—bringing to life a vision of mid-century America that is by turns nostalgic and clear-eyed, humorous and heartfelt. A masterly evocation of a place and a time that feel quintessentially American, Push opens our eyes to the twinned power of literature and memory. Are you a helper or an achiever? A challenger or a peacemaker? Awareness to Action explores the nine distinct, yet interconnected personality types of Enneagram theory, which uses a nine-pointed figure to illustrate the relationship between an individual’s dominant personality and the other types that comprise the structure. Mario Sikora and Robert Tallon explain the characteristics of each personality and show how a person can capitalize on their strengths and weaknesses, charting a specific course for personal growth. They discuss practical topics such as relationship building, conflict resolution, and personal development, information that will not only be of interest to individuals seeking a greater understanding of self, but to managers and human resource professionals as well. Drawing from her many years of experience as a hospice nurse and her training as a theologian, Patricia Kobielus Thompson offers in The Dark Night of the Soul instruction to those providing care for terminally ill patients. Thompson finds in the poetry and other writings of Spanish mystic Saint John of the Cross a wisdom that she argues will assist caregivers in comforting their patients through the trying times just before death. Though much has been written on Saint John of the Cross, Thompson’s application of these works is wholly new and rooted in deep empathy. Composed at the request of the Royal Spanish Chronicler of the Indies, Don Diego Torres y Vargas’s Report on the Island & Diocese of Puerto Rico was the first history of Puerto Rico written by a native of the Spanish island colony. Torres y Vargas, a fourth generation Puerto Rican and descendant of Ponce de Leon, records here the history of the Catholic Church in Puerto Rico as well as the political, social, military, economic, and natural history of the island. 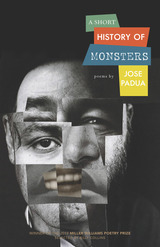 This translation—the first ever into English—includes three historical essays by eminent Puerto Rican and Latino Studies scholar Anthony Stevens-Arroyo and extensive translator notes to guide the reader through the realities of seventeenth-century Puerto Rican culture and society. In The Choice, Arnine Cumsky Weiss and Carol Weiss Rubel present the stories of forty-five converts to Judaism. These reflective narratives demonstrate that no two converts’ experiences are alike, yet most share some common characteristics: a spiritual uneasiness, fear, doubt, and a gradual development of spiritual and intellectual understanding and acceptance of conversion. The stories in The Choice will be a source of inspiration and affirmation for anyone who is struggling with a conversion decision or knows someone who is. During his lifetime, Archbishop Oscar Romero chose to live the Christian Gospel in a radical way, defending, supporting, and serving the poor, and confronting the oppressive and murderous violence of the Salvadoran dictatorship. As a result, in March 1980, while celebrating Mass in a small chapel in El Salvador, he was assassinated. With Archbishop Oscar Romero, Damian Zynda offers a compelling examination of the bishop’s eventful life. Zynda delves into the psychological and spiritual depths of Romero’s faith, tracing its progression from age thirteen up to the episcopacy and his prophetic stand against the government. What Brings a Marriage into Existence?